Why does 1 of my dogs have bad skin and her litter mate is perfect? “I cut Chica’s fur myself, I think it looks pretty good,” said Rosada. “The haircut looks good, and I’ll bet you save a ton of money,” said Doc Truli. “Yes, the groomers charge too much,” said Rosada. Well, actually, they do an amazing job on a moving target…. “What shampoo have you tried?” asked Doc Truli. Doc felt Chica’s lymph nodes under her jawline (the submandibular lymph nodes), in front of her shoulders (the prescapulars), and behind her knees (the popliteal lymph nodes. “Her lymph nodes feel normal. That’s good,” said Doc Truli. 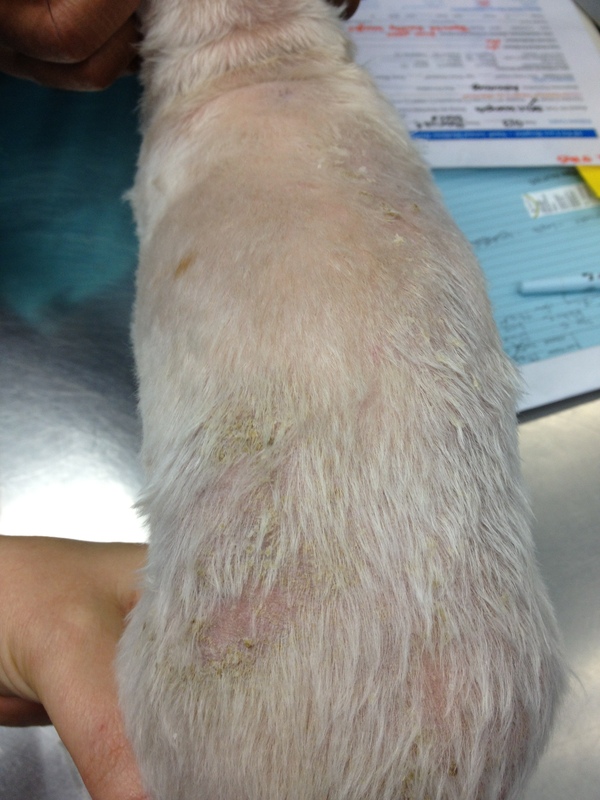 Chica’s skin scrape showed demodex mite eggs, juveniles, and adults. Her skin tape cytology showed round bacteria in the cocci (pronounced cox-eye) family. 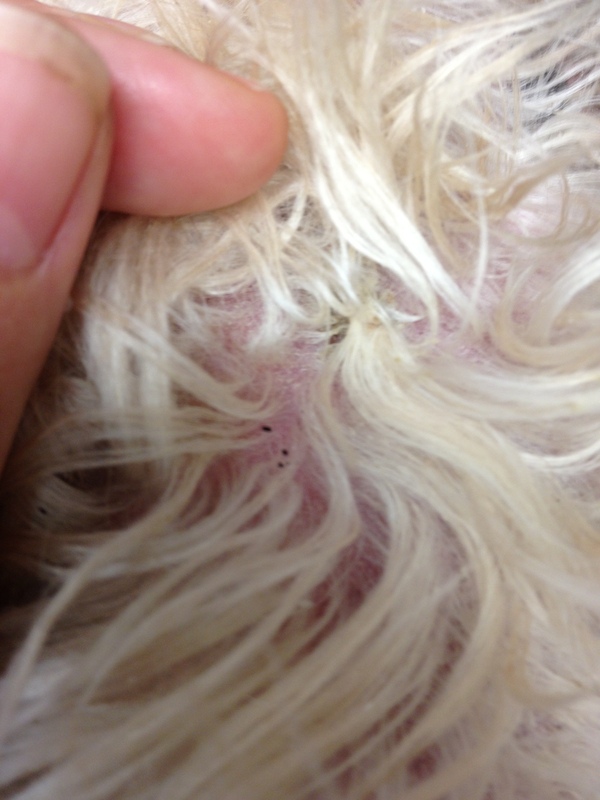 Her trichogram showed demodex eggs implanted on the fur bulbs from deep inside the hair follicles. The fungal culture showed no growth of ringworm fungus (it took 2 weeks for us to grow the culture to prove no fungus.) The ear cytology was normal. 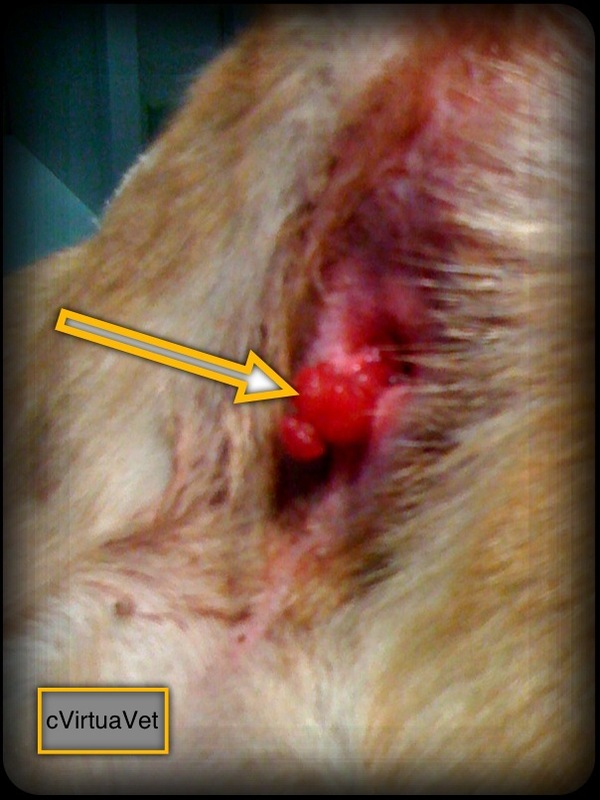 “Most pets with skin problems also have ear infections. That’s why it is important for your veterinarian to investigate the ears very well,” said Doc Truli. What About Demodex and Cocci Bacteria? Demodex is a microscopic mite that is thought to live normally the capillary beds of dog skin. The fur follicles reach right down to the nourishing capillaries and demodex live their whole life cycle right in there on your dog. The demodex change the acidity and the over-all fitness of the skin to grow bacteria and mites. The bacteria make the skin more hospitable for the mites and vice versa. They have a beneficial synergistic relationship and they are both parasitic on the skin. Demodex is 100% non-contagious. The bacteria could infect other mammals, but usually you it is more important to ask yourself,”why did this infection grow on this particular dog?” It is a more useful question than asking if the bacteria is super strong or special. The bacteria almost never is unusual. If the bacteria is treated with antibiotics and special shampoo without addressing the demodex, the skin more only look better for a short while, and then the problem will become worse. Chica began a course of medication to treat the demodex, medicated baths, antibiotics, probiotics, and medical grade omega fish oils. 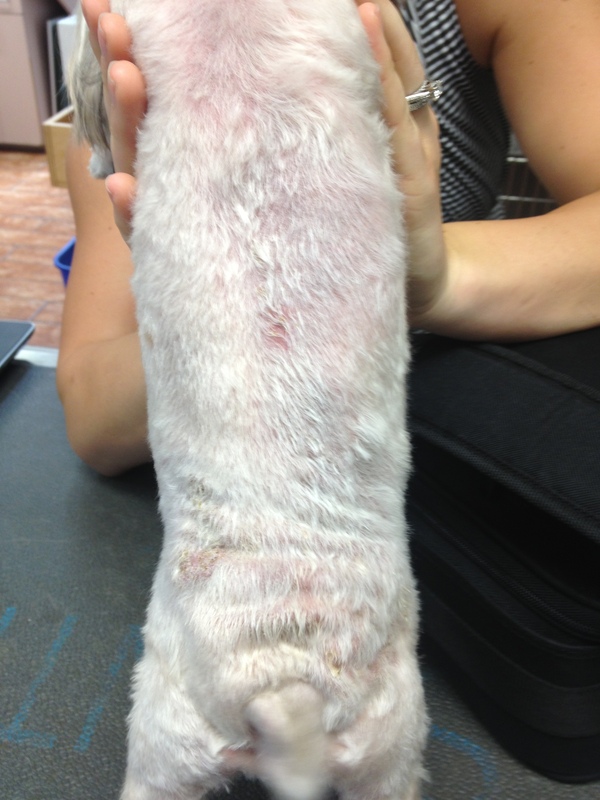 All standard western veterinary medicine treatments for demodex. It may take 4 months or longer to cure the problem. A tiny percentage of dogs never cure with this protocol. They are thought to have a genetic difference that causes their immune system to let demodex thrive. 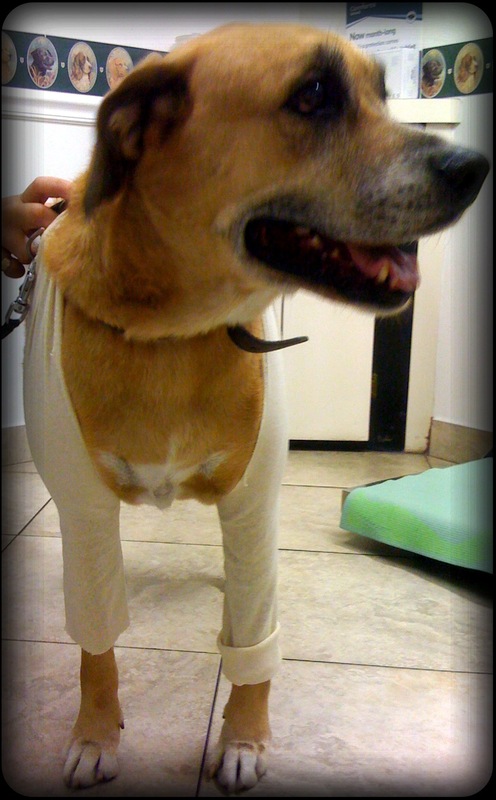 Chica is still under treatment. She is expected to make a full recovery. Why is Chica’s skin bad and her sister’s skin is perfect? The two Maltese littermates may have different genetics. They may have different luck. Being the runt may have stressed Chica’s immune system and not her sister. All of these answers may explain the dogs’ differences. Chica and her sister Nina are also two very different body types and energies under chinese traditional medicine theories. Chica is careful, self-contained, cautious. 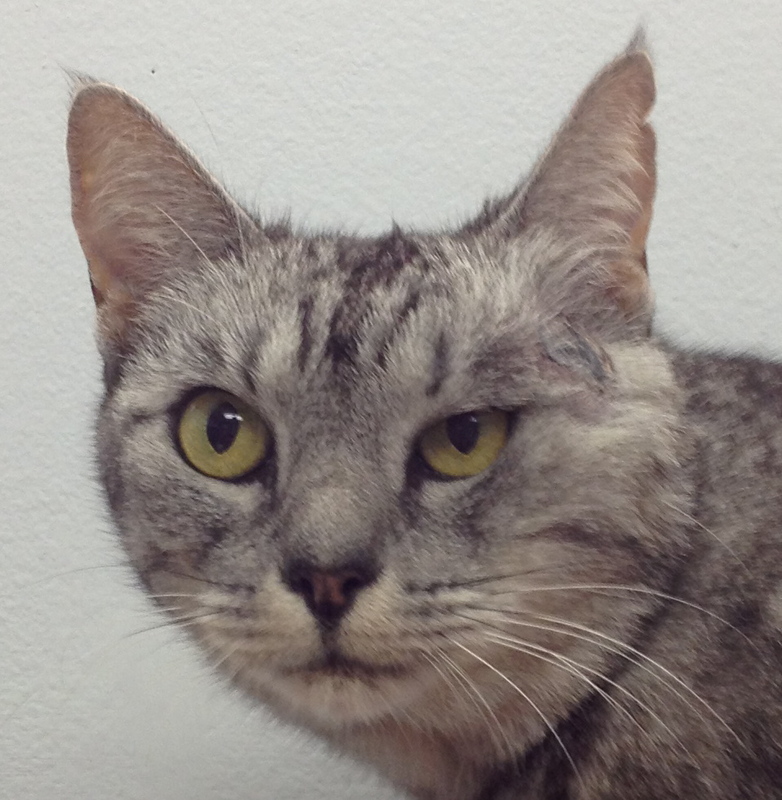 Nina is round, happy, friendly and outgoing. Nina is an Earth personality type. She is friendly, laid-back and if she gets out of balance, she is likely to have digestive problems Chica is a water personality. She had disturbed growth patterns as the runt of the litter. Furthermore, Chica’s diet of dry chicken-based kibble has brought too much heat, wind and dampness to her body. The heat shows as bright pink irritated skin. She actually feels hot to the touch. In chinese medicine itch equals “wind.” You may think of it as the wind energy passes through the body and disturbs and irritates it causing an itchy, twitchy feeling. Severe wind energy results in seizures. The dampness is expressed as the oozing, damp sores on her body. 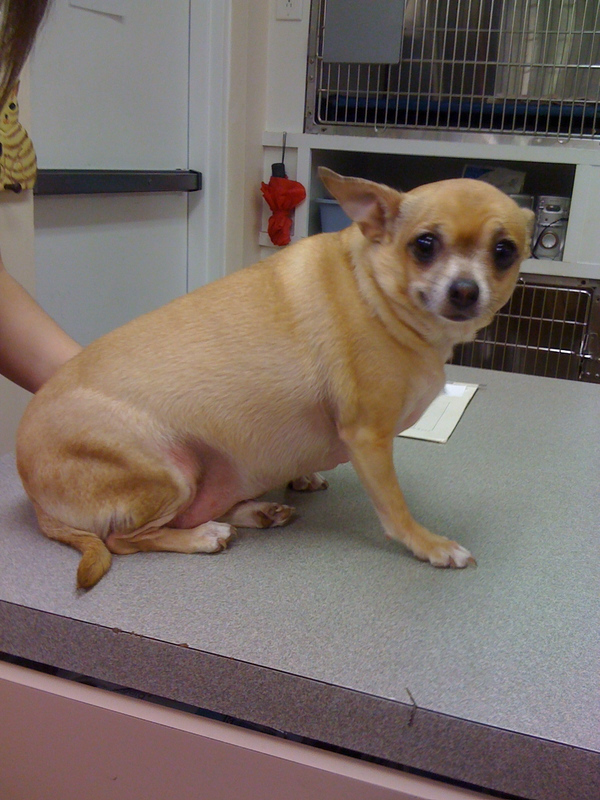 In addition to giving Chica medication, we diagnosed her according to traditional chinese veterinary medicine. We changed her diet in its form and the protein, carbohydrate and vegetable sources. We also started acupuncture treatments designed to address her imbalances. We have her herbal medicine to treat the wind, damp, heat. Our goal is to establish a new harmony in her body. If we do not succeed, her skin problems will recur and she will never ever-stronger medications just to keep her comfortable. 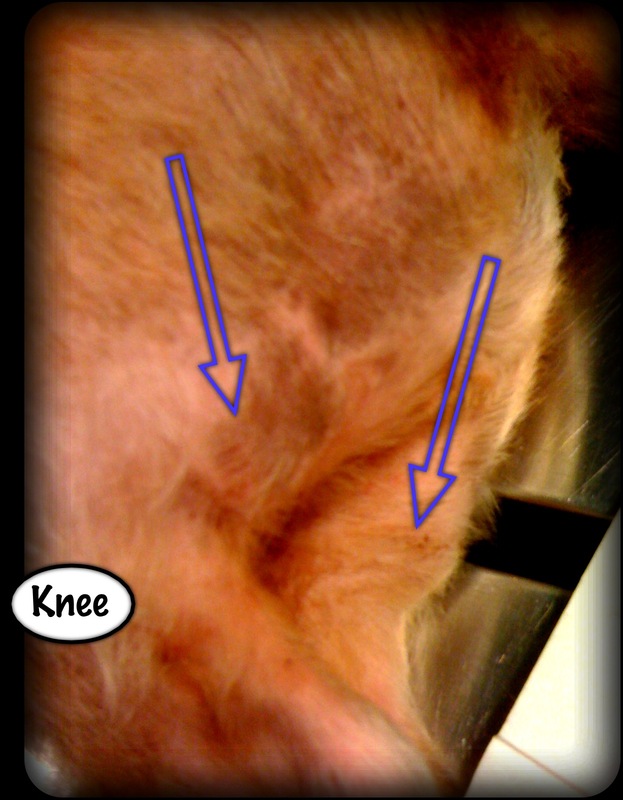 You should consult with a traditional chinese medicine veterinarian to do this right. 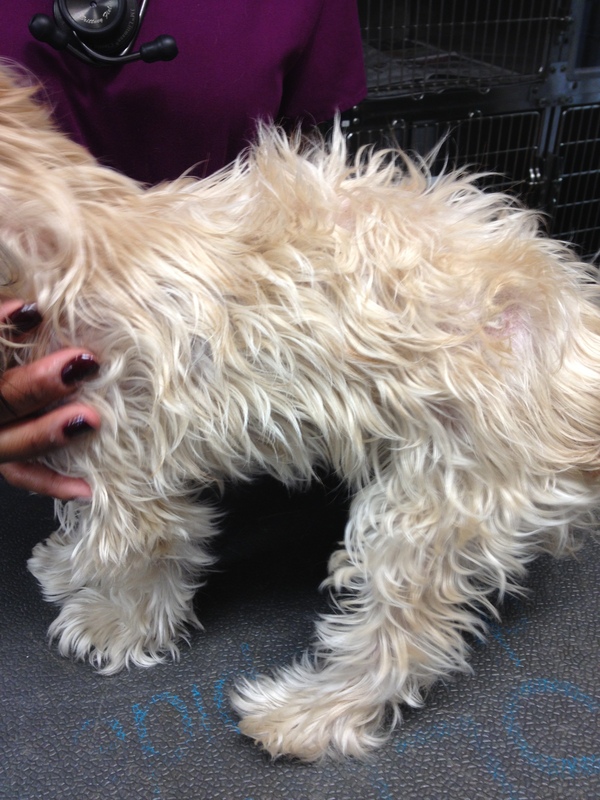 “It’s a shame when a one- or two-year-old dog becomes dependent on steroids just to keep itching under control. If you just think your dog has ‘allergies,’ then you may never solve the problem. Half of the dogs in America are now thought to have skin allergies. Half. And they are thought to be allergic to grass and pollen and trees. That is not normal. 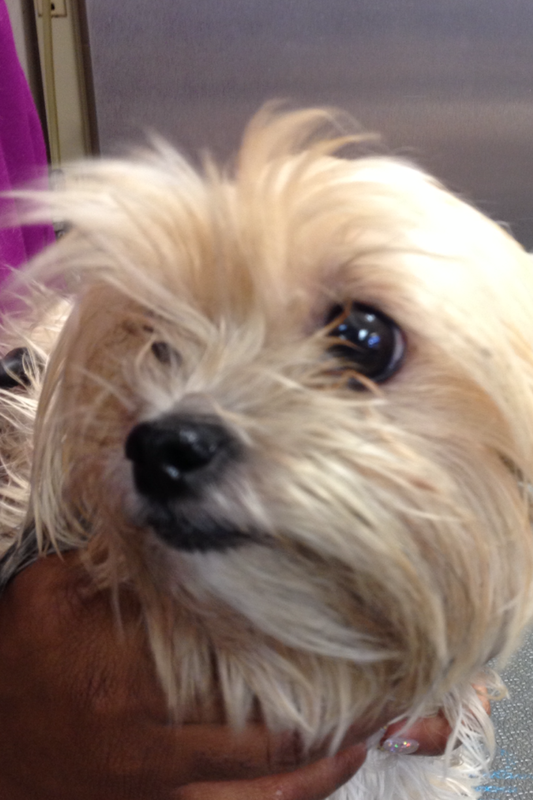 We need better solutions to keep our dogs happy and healthy,” says Doc Truli.